The founder of a local news project backed by Google has unveiled more details about its plans. Stuart Goulden, the former founder of York local TV project One&Other, has now moved to Manchester and in November secured funding for his latest startup through the second round of Google's Digital News Initiative (DNI). 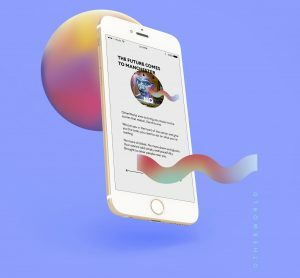 Described as "on-the-go local news", OtherWorld uses Google's proximity technology Eddystone to create agile and contextual news for mobile called "moments". He explained: "These will be serendipitous experiences that are easy for newsrooms to produce and distribute right to the very location those stories happen. Once it's there they won’t stand still. They can be tested, updated and replaced at the press of a button. They can change with time of day, the weather and even footfall. In a nutshell: fluid news serving fluid communities. "Many sectors have woken up to the potential of beacons and are doing some interesting things in the space, however it’s relatively uncharted territory in news. We think it’s a potential game changer." OtherWorld, part of Goulden’s Like No Other consultancy, will be piloting the project in Manchester from the summer and is calling on anyone "with a story to tell" to get in touch, including local businesses, charities, community groups, PR agencies and event organisers. Goulden is also organising a meet-up for potential users of the service to find out more.